Children’s mental health services will get a funding boost of £1.25 billion over the next five years to help develop services, the government has announced. Deputy Prime Minister Nick Clegg confirmed the funding on March 15. He said the money would mainly be spent by the NHS on helping more than 100,000 young people. This will include introducing waiting time standards for children for accessing services for the first time and ensuring specialists in children’s talking therapy will be available in every part of the country by 2018. The funding will also extend access to services for children under five and those with autism and learning disabilities. Three children in every classroom have a diagnosable mental health condition and research shows that left untreated it can blight their adult lives. In addition, the money will help to ensure children and young people with conditions like depression or anxiety, self-harm or at risk of suicide will get access to more therapy, parenting support and care closer to home or in their community, such as in local cafes, youth centres and shopping centres. Part of the money will be spent on providing more mental health services to pregnant women and new mothers. More details on this will be outlined by Chancellor George Osborne when he delivers his Budget on Wednesday [March 18]. “There would be an outcry if a child with diabetes was left to cope without support or treatment. 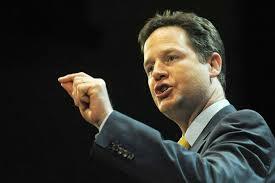 But that’s exactly what’s been happening with young people’s mental health services,” said Clegg. “I have heard, time and again, harrowing stories from young people and their families about how they suffered and their condition deteriorated waiting to get the right treatment for serious mental health problems.